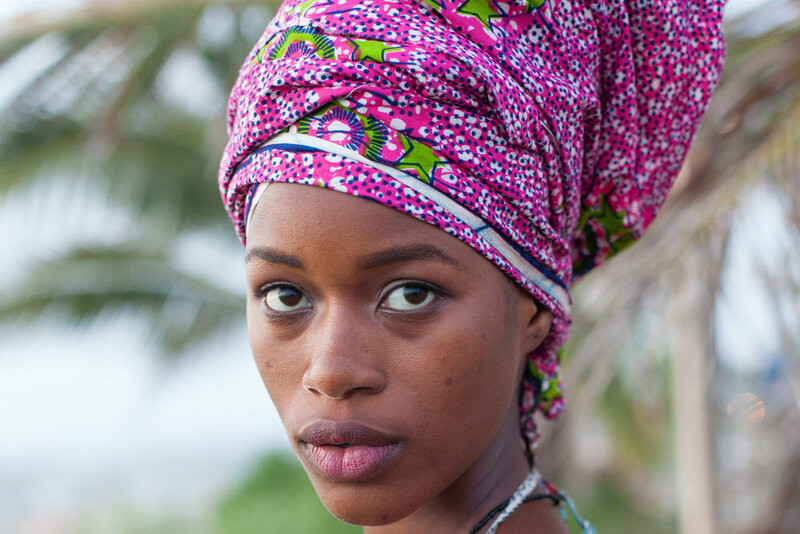 Natural light head shot in Senegal. 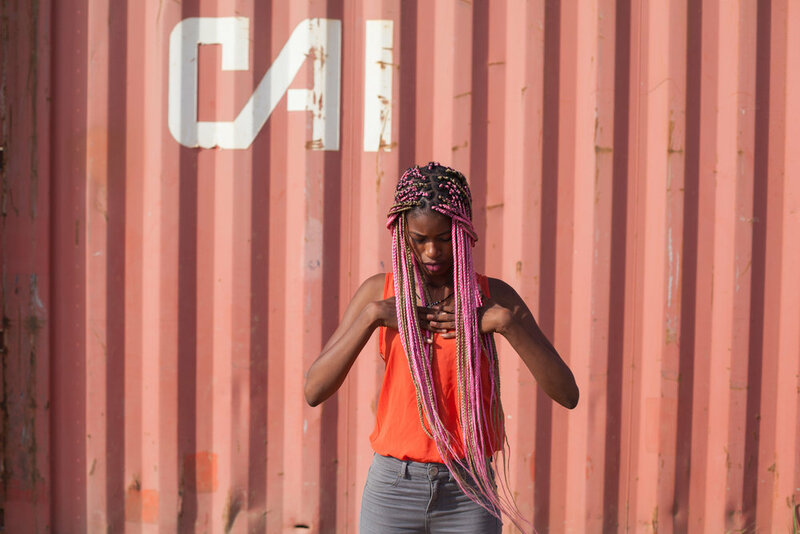 Urban photo shoot in Dakar, Senegal. 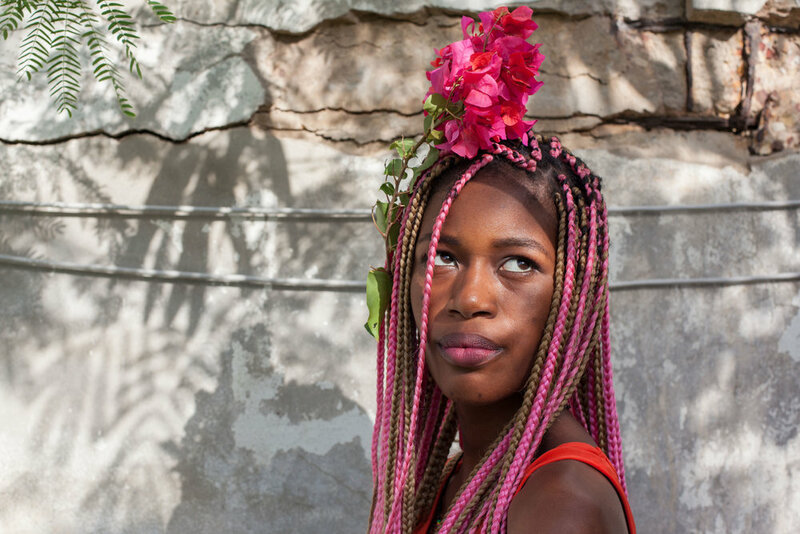 A Senegalese woman poses for a photo with flowers in her hair. A smiling Senegalese model on the island of Ngor in Dakar. Canon photo shoot in Dakar, Senegal by Geraint Rowland. All of the portraits of Fatima were taken in Dakar, either on the Northern coast of the peninsula or on the island of Ngor. The colourful braids seemed to be the fashion trend in West Africa at the time of my visit with Fatima’s pink ones only available from Ghana. ‘Down by the Sea, Senegal’ a blog about the life at Yoff beach in Dakar. More of my travel photography from Senegal can be found on my website, my Instagram, and my Flickr account. Fatima, the Senegalese model in the portrait images can be found via her instagram at @fatou.gueye.bello. If you are interested in purchasing any prints, using an image online or would like further information please send me an email at: geraintrowlandphotography@gmail.com.